Finding a good knife is much like finding a good pair of shoes. For some, a knife is going to be an everyday essential and you want it to be a reliable, a good fit for you. You may want it to be an everyday carry knife that is versatile enough to work through the hunting seasons. Or you may be looking for the perfect hunting knife that you will specifically carry in your hunting pack. Either way, you’ve landed on a good page, as we will discuss the top 10 best rated hunting knives. 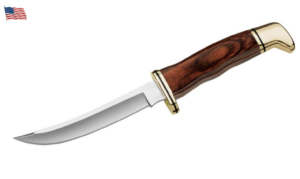 In this guide, we will go over 10 different hunting knives, some that can be used for everyday carry and others that would be best suited for skinning and gutting. We will go over size, durability, features and overall quality and weigh the pros and cons of each. Overview: This fixed blade, full tang hunting knife is made in the USA and has a lifetime warranty from Buck Knives. This knife has a 4.5 inch blade and measures 8.5 inches in total and is made to cut through thick layers with ease. The steel blade is tough and corrosion resistant. The handle is curved for a better grip and is designed with a finger guard. A genuine leather sheath is included. Buck Knives have been around since 1902 and continue to deliver some of the highest quality, long lasting knives. You won’t be disappointed with this hunting knife. 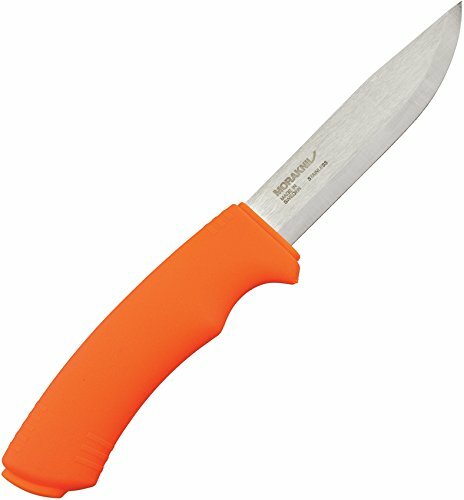 Overview: This Morakniv brand fixed blade hunting knife features a stainless steel blade to withstand outdoor elements and protect against rust. A belt clip is built in to the knife to allow for carry on the right side. The blade is 4.3 inches long and 9.1 inches long in total. The blade of the knife has a rat tail tang design. The bright orange handle is great to help keep it visible and not get lost. A lifetime warranty is available on this knife, as well. The back of the blade on this knife can be used with a fire starter. Overview: The dual-edge design of this knife makes it a standout hunting knife. One edge of the knife is made for skinning and the other for gutting. The stainless steel skinning blade is 3.6 inches long, gutting blade is 3.2 inches long and in total measures 8.3 inches. Rubberized handles ensure a better grip on the knife. Outdoor Edge delivers a lifetime warranty with the knife. A nylon belt sheath comes with the product. The gutting blade is made to cut through thick hide with ease. Overall, a quality dual-function knife. Overview: Buck Knives delivers this 119 model knife in a special 75th Anniversary edition. The steel, corrosive resistant clip blade is 6 inches long and is designed with a razor sharp point for precision cutting in tight spaces. Full measurement of the knife is 10.5 inches long and has a full tang. 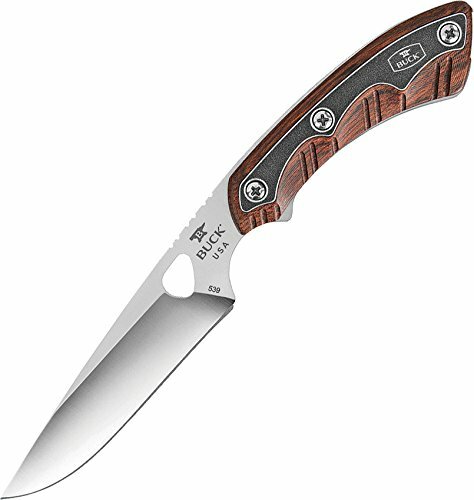 A lifetime warranty comes with this USA made, best-selling knife from Buck Knives. This product also comes with a leather sheath. This knife has stood the test of time and is a long-lasting, quality hunting knife. Overview: Ka-Bar delivers a sturdy, all-purpose knife for whatever situation you may find yourself in. The carbon steel blade is 7 inches long and in all the knife measures just under 13 inches in total. 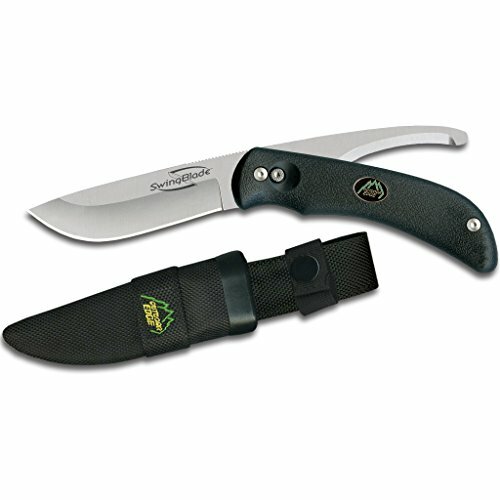 This knife is full tang and the tough glass-fiber-filled nylon handle is designed with a lanyard hole. Ka-Bar built this knife to withstand tough wear and tear and is made with the soldier in mind. A black nylon belt sheath is included. You will not be disappointed with this knife to do any job. 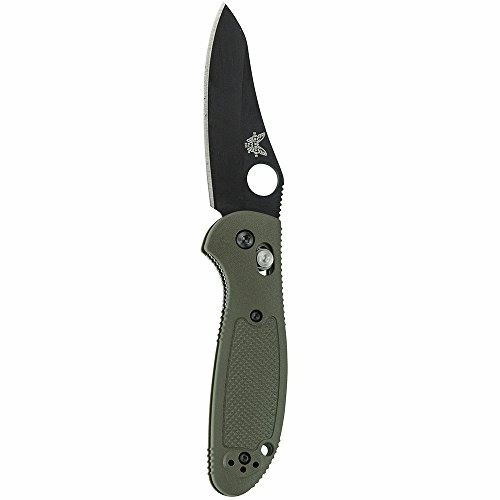 Overview: Benchmade designed the Mini Griptilian for easy carry, everyday use. The knife can be opened and closed with one hand and it’s smaller design make it comfortable to hold and use. It is designed with a handy pocket clip, as well. The stainless steel blade is rust resistant and measures 2.97 inches long. The Benchmade brand knife has a glass-filled nylon handle that is made for durability for the toughest jobs. For all around functionality you can’t go wrong with the Mini Griptilian Knife. With a Benchmade lifetime guarantee, you can know you are getting a good product. Personally, the Benchmade knives are my favorite with this specific model up near the top of the list. Overview: Made in the USA, this Buck Knives Small Game Knife is ideal for smaller game such as birds and squirrels but tough enough for heavier tasks. It can also be used as a general work knife. The drop point blade is 4.25 inches long and measures around 7.5 inches long total. The full tang steel blade is tough and corrosive resistant for greater performance. You can pack this knife in it’s genuine leather sheath with a belt loop that comes with the product. 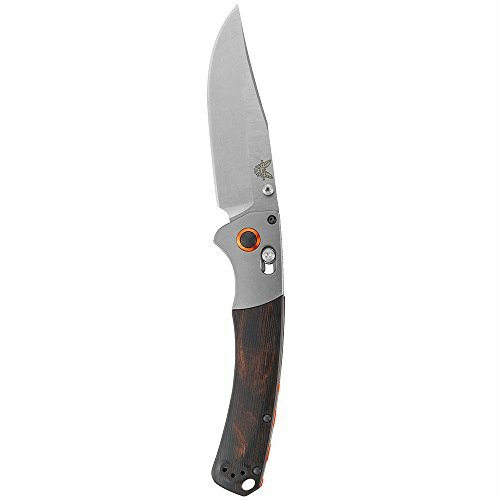 As with all Buck Knives, the Open Season Small Game knife comes with a lifetime warranty. 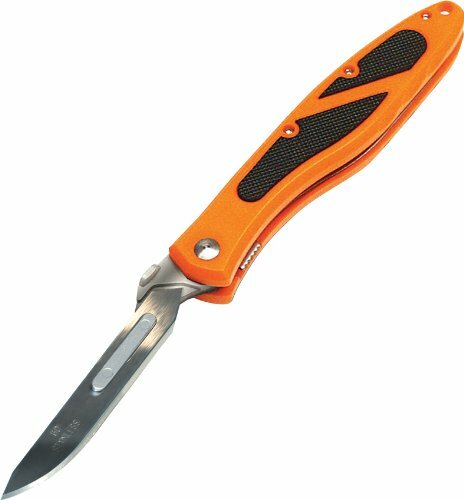 Overview: With a bright orange handle, this Havalon Skinning Knife will be easy to spot in the outdoors. A long, wide, easy rubber grip handle makes skinning with precision and control easier. The stainless steel folding blade measures 2.75 inches and the knife measures 7.25 inches in total. The razor sharp blade never needs to be resharpened, as you can just replace it by snapping on a new 60XT blade. Making it even better, this package comes with some replaceable blades. A great knife for both skinning and field dressing. A pocket clip and lanyard hole on the knife makes for easy accessibility and the knife can be opened using one hand. Overview: This USA made Benchmade knife is good for hunting, outdoor or everyday use. It sports a 4 inch stainless steel, clip point, corrosive resistant blade. A stabilized wood handle makes it more durable to weather conditions than traditional wood handles. You are able to open and close this knife with one hand and a reversible pocket clip offers easy accessibility. Additionally, this Benchmade knife comes with a lifetime warranty. Overall, a great quality knife for whatever you may need. Overview: The Kershaw Blur knife is made for tough outdoor activities or everyday day. The stainless steel 3.4 inch long blade is corrosive resistant and durable. With a partially serrated blade, the knife can more easily cut through fibrous materials. 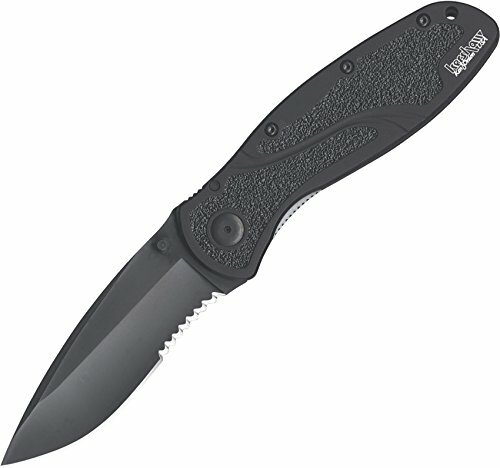 The Kershaw Blur is designed with a reversible pocket clip and can be opened with one hand for better accessibility. You are sure to get a quality grip with the Trac-Tec design featured on the handle. 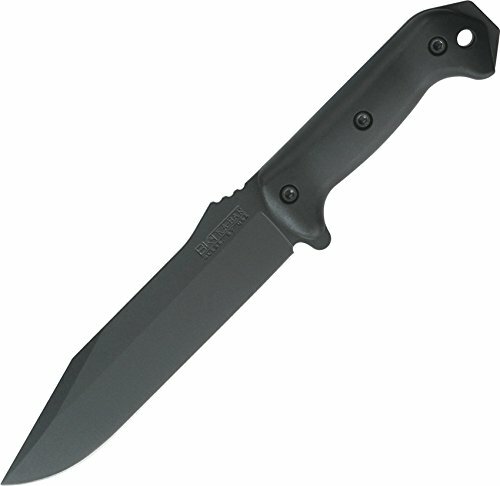 Kershaw knives are also made in the USA. I would never give up my benchmade. very well made and durable. I completely agree with you Trey. Great write up on the hunting knives. However, if you don’t choose any of these, I recommend the Benchmade Griptillon. Huge thumbs up for the great info you have here on this post. From a long time hunter here in Minnesota, thanks! Very nice post and write up about the Knives. However, I have the Benchmade Griptillion and love it. I would recommend it too. Thanks! Appreciate the knife reviews, we got dear husband a benchmade. Guy at Cabelas said they last a lifetime! Used by the Marines too!